"Dr Harel was wonderful and a very kind/caring physician - he really took so much time with me during my consult -he listened to my story - went over all my test results - explained everything to me -gave me a comprehensive Medical/Neuro exam - discussed findings/opinion/recommendation for follow up - would definitely recommend him"
"Although we had a little delay Dr. Harel did apologize for delay & did not rush us through the apt. Took his time & explained everything very clearly." "Dr. Harel is very professional and kind. I am so glad to be his patient. He listens to everything I have to say and he doesn't rush my appointments. I would highly recommend him! " "The dr. made sure I understood everything." 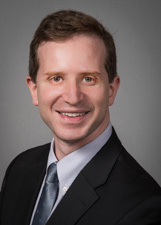 Lenox Hill Hospital's Dr. Asaff Harel weighs in on research showing that starting treatment earlier may improve outcomes in both relapsing and primary-progressive MS.
Asaff Harel, MD, discusses the new multiple sclerosis study in Neurology Today.